Came out and fixed the issue even during a snowstorm! Great work and fixed fast. Thank you! Jared was on time, He seemed to be very know legible. He was very helpful in explaining what He did and what I should do to keep the range at the proper temperature. I hope this time is going to work. The service we received from Jared was very professional and we feel confident the issue was corrected accurately. The fact that we were contacted regularly regarding our appointment time was extremely helpful and appreciated. Jay was very knowledgeable, friendly and efficient. Took his time to do good service repair and answered all my questions. WASHER MAYTAG MVWB980BW0 "Washer ..checked washer operation ...ran washer spin cycle ,,washer squeaking in spin ,,took rotor off of motor and cleaned grease and debris from rotor and reasammbled motor assl ...ran and tested in hi spin now ,,all working and quiet now ,normall recall warranty ." REFRIGERATOR WHIRLPOOL WRT138FZDW00 Left data logger in unit at air inlet to ff compartment. Advised cust. ; schdld next appmnt for 4/16 TUE ! WASHER MAYTAG MVWB765FW2 "Washer ,, ,checked washer operation ,,washer not starting ,lid is clicking and not locking ,,comes up error code f5-e2 lid switch bad , replaced lid switch latch ,,w10810403 from truck stock ..ran and washer starting good and running ,,and also found lid is cracked in corner by hinge ,needs new lid ,ordered to cuctomer . ; ordrng 1 W11259006 (LID ), used 1 W10810403 (LID SWITCH ) from stock"
REFRIGERATOR JENN-AIR JFX2897DRP02 "Freezer LED light completely out and upper LEDs in ref section only halfway lit. Installed new freezer LED, now all lights working properly"
DISHWASHER WHIRLPOOL WDF520PADM7 "Installed new drain hoses and ran fill and drain cycle twice. All ops good, draining normally, fill normal, no leaks or drips"
DISHWASHER WHIRLPOOL WDF520PADM7 "Cust said unit stopped draining some time ago, they would hear the drain pump start then hear nothing. They did not use it for several months before calling us. I started a fill cycle and then cancelled it and started drain cycle. Unit drained, could hear water flowing into sink drain. Started another cycle and let it fill all the way then did drain cycle again. Unit drained but it took over twice as long as it should have. Suspect blockage in the drain hoses, possibly check valve broke off inside and is stuck partially blocking water flow. Needs both drain hoses, cust paid in full; ordrng 1 8269144A (DRAIN HOSE) and 1 WPW10545278 (DRAIN HOSE)"
WASHER WHIRLPOOL WTW4955HW1 "Washer ....checked washer operation ..ran and checked washer with load of clothes .checked suspension and spin cycle ,found washer ,noisey in beginning of spin cycle ..knocking noise ..checked under washer and found transmission ,is bad and leaking oil all over ...washer needs new transmission ,ordering new GEARCASE and belt ..; ordrng 1 W10721967 (CLUTCH) and 1 W11035747 (GEARCASE ) and 1 W11239857 (BELT)"
RANGE JENNAIR JES9860CAB01 Installed control. Pulled unit out and ohmed sensor. Found 1080 at room temp. Within range . Reassembled and tested unit. OVEN WHIRLPOOL WOD93EC0AS01 "Oven is a GE they wanted looked at, model number given was from a different appliance in house, they will need to contact GE for service"
REFRIGERATOR KITCHENAID KRMF706ESS01 "Cust says on occasion interior lights in both sections will not come on and at the same time the dispenser functions will not work and the icemaker will stop producing ice. Intermittent failures, yesterday unit was malfunctioning, today it is working. Entered diagnostics and ran tests. No errors on ic3maker, door switches all check good, ice box fan not coming on in tests or in normal operation. Cycled power to unit and ice box fan came on and all ops started working. Ordering main control and UI assembly; ordrng 1 W10894103 (UI ASSEMBLY) and 1 WPW10675033 (CONTROL BOARD)"
WASHER WHIRLPOOL WTW5000DW2 "Washer ,,,checked washer operation,,,checked and water filling hot on cold setting ,,,found fill hoses installed wrong on water valve ,hot water hooked up to cold side of valve ,reversed fill hose and installed on water valve on proper side of valve hot on hot side and cold on cold ,installation problem"
REFRIGERATOR KITCHENAID KRMF606ESS01 Installed door. REFRIGERATOR WHIRLPOOL WRF560SEHZ00 "Found unit not cooling. InstallEd manifold. Found unit in deep vac on low side. Pulled EVAP cover checked all joints, EVAP and condenser for uv dye with light and googles. No dye found. Called techline. Per techline unit has leak in cabinet. Sending for product review. Advised cust wp will follow up about temps. Reassembled unit. Left unplugged. Sr#7724308756"
REFRIGERATOR KITCHENAID KRMF706EBS01 Installed parts. Unit working. DISHWASHER KITCHENAID KDTE204EPA1 "Decline estimate for now needs sump WPW10605058, customer will look around first will call back later, gave estimate labor 106.95 + parts..."
REFRIGERATOR MAYTAG MFX2676FRZ00 "Inspected and installed new right hand ref door and transferred components. All ops good, door sealing properly"
DISHWASHER KITCHENAID KDTE204EPA1 "Installed part, ran diagnostics through ok, no leaks"
RANGE KITCHENAID KSGG700EBS1 "Oven not heating properly, removed storage drawer and checked burner/manifold connection, bake burner not lining up with manifold coming off gas valve. Pulled unot out on pad and checked valve, found frame bent and bowed outward. Called WP techline and documented damage, SR 7724371728. 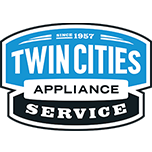 Cust to call customer service 1-800-253-1301"
REFRIGERATOR WHIRLPOOL WRT138FZDW00 Installed EVAP and drier. Pulled vac and held. Charged with 4.2 oz 134a. Unit running and cooling. REFRIGERATOR WHIRLPOOL WRF560SEHZ00 Installed compressor and dye drier. Pulled vac and held. Charged with 4.2oz 134a. Unit running and cooling. REFRIGERATOR WHIRLPOOL WRT138FZDW00 "Freezer not cooling enough, removed evap cover and found large ice dam on evap inlet. Leak or restriction in sealed system. Ordering evap and dye drier, job code 2; ordrng 1 W10836706 (EVAPORATOR) and 1 WPW10143759 (DYE DRIER)"